She’s full of sass, writes danger like a pro, and will wrap your heart in a story of lost love found–plus she’s giving away a Baltimore Gift Basket to one lucky reader! 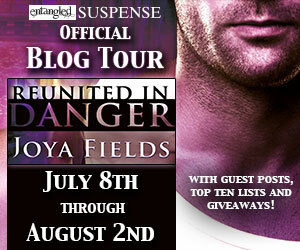 Join Joya Fields and learn what it’s like to become Reunited in Danger! Join bestselling Entangled authors at the Baltimore Book Festival this weekend! I just saw this! Thanks, Kym. *Full of sass. * Love it. 🙂 What a fun tour!